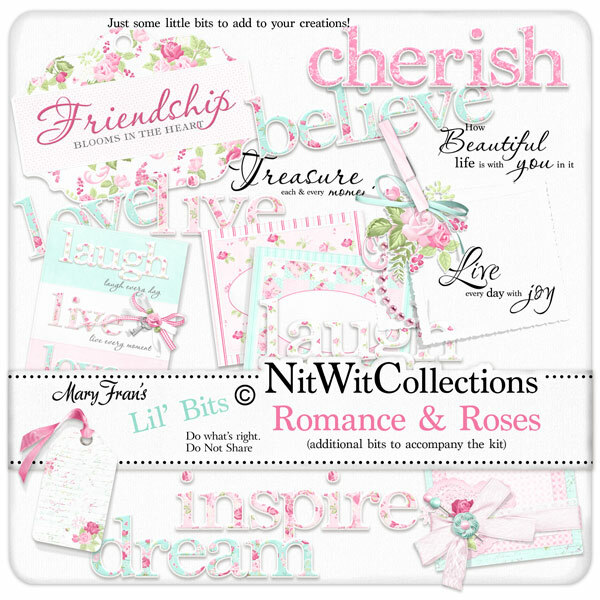 Lil' Bits "Romance & Roses" is not to be missed as it adds many other creative quotes, wordarts and more to your interpretations for this Collection. These digital elements are NOT included in the FQB "Romance & Roses" Collection. 1 Quote - "How Beautiful Life...."
1 Quote - "Live Every Day..."